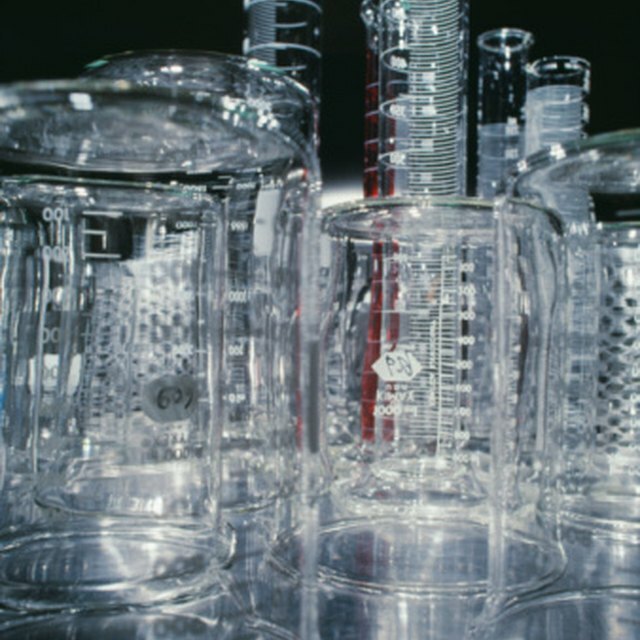 What is the Difference Between Reflux & Distillation? The easiest way to separate a mixture of sugar and water is to use distillation, a process that separates substances based on their different boiling points. Sugar does not boil, but the point at which it crystallizes (320 degrees Fahrenheit) is much higher than the boiling point of water (212 degrees Fahrenheit), so when you boil a mixture of sugar and water, the water turns to steam and leaves the sugar behind. You can collect the steam to capture the water, effectively separating the sugar and water. If you are keen to learn more about distillation, evaporation and crystallization, this process, involves all three. Place a ceramic bowl inside a deep cooking pot. If you don't have a ceramic bowl, use any other container that can withstand boiling temperatures. Use a small rack to elevate the bowl toward the top of the pot. Alternatively, if you are willing to make a hole in your cookware, you can drill a hole in the lid of the pot and insert a length of tubing to collect the distilled water in a separate container on your work surface. Pour a mixture of sugar and water into the pot, taking care not to get any of the mixture into the collection bowl. Ideally, the solution level should be a couple of inches below the top of the collection container. Put the lid on top of the pot, upside down. This helps to direct the water vapor toward the center and into the collection bowl. Placing an ice pack on top of the lid helps to cool the water vapor and return it to liquid form. Place the pan on the stove over medium heat and heat the solution until it boils. Use a cooking thermometer to monitor the temperature and avoiding heating it too much, as this can burn the sugar. Continue boiling the mixture until the liquid has almost disappeared. You will notice that the water has evaporated and pure water has collected in the collection container, but the sugar has been left behind in the form of sugar crystals. This is known as crystallization. Use a spatula to scrape the sugar crystals off the sides and bottom of the pot. Take care around steam to prevent injuries. Wear oven mitts when handling hot cookware. Minors should be supervised at all times during this process. Do not boil the pot dry to avoid permanent damage to it. Gillespie, Claire. "How to Separate a Mixture of Sugar & Water." Sciencing, https://sciencing.com/separate-mixture-sugar-water-5138717.html. 20 April 2018.